At Daphne Rental Center, we offer an array of tool rental equipment. We specialize in hand and power tool rental, lawn and garden tool rental, floor care tool rental, construction and concrete tool rental, earth moving tool rental, aerial work platform rental, and man lift rental. Whatever your tool rental needs are, we’re sure to be able to meet them. At Daphne Rental Center, we go out of our way to make sure our valued customers are always satisfied. Whether you need a floor cleaning machine, a concrete mixer, a lawn aerator, or a electric saw, we’re sure to be able to help you out. At Daphne Rental Center, we have an extensive list of tools for you to choose from. We’re sure to carry whatever type of hand and power tools, lawn and garden tools, floor care tools, construction and concrete tools, earth moving tools, aerial work platform tools, and man lift tools that you need. 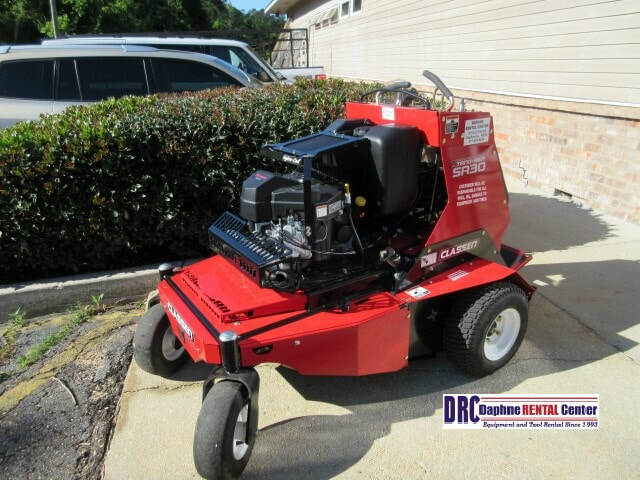 We cover all types of tool rentals, from lawn mower rental to commercial steam cleaner rental, we can rent out it all. We always offer top of the line products and we always guarantee that you’ll be met with excellent customer service. We always want to make sure that you have the right equipment to get your project done. Please call us today so that we can take care of all of your tool rental needs.